We Cannot Say Enough How Good this Venue Is! “We can’t say enough about how good this venue is. We held our wedding here in July 2016 and from the time we viewed the venue to the point of leaving after our wedding, we cannot fault them. The staff were all fantastic with special praise for Caroline, Asher and Andy – they all went out of their way to make our day special and they felt more like friends by the end of the day rather than staff! During the planning process, Caroline listened to our ideas, gave us suggestions of what worked and always tried to make everything possible. The day itself was faultless and even the slight challenges that came up, were swiftly dealt with and made better. 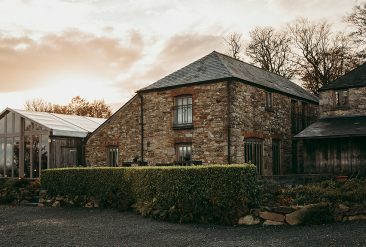 The venue itself is beautiful, especially as we’re lucky enough to be able to have the sides down on the garden room – it really did feel like the outside-in. 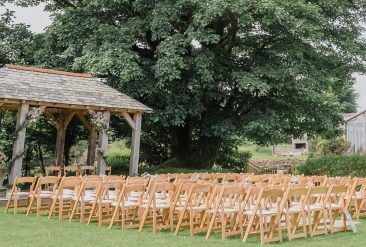 The view is stunning and the arbour a wonderful backdrop for an outside ceremony. Our guests were all really impressed with the accommodation and the food, which was plentiful and very tasty. The drinks were also great – woo woos a particular favourite! I would recommend this venue to anyone as they seem to be able to turn their hand to most things. We were really upset when our wedding was over that we wouldn’t be going back! 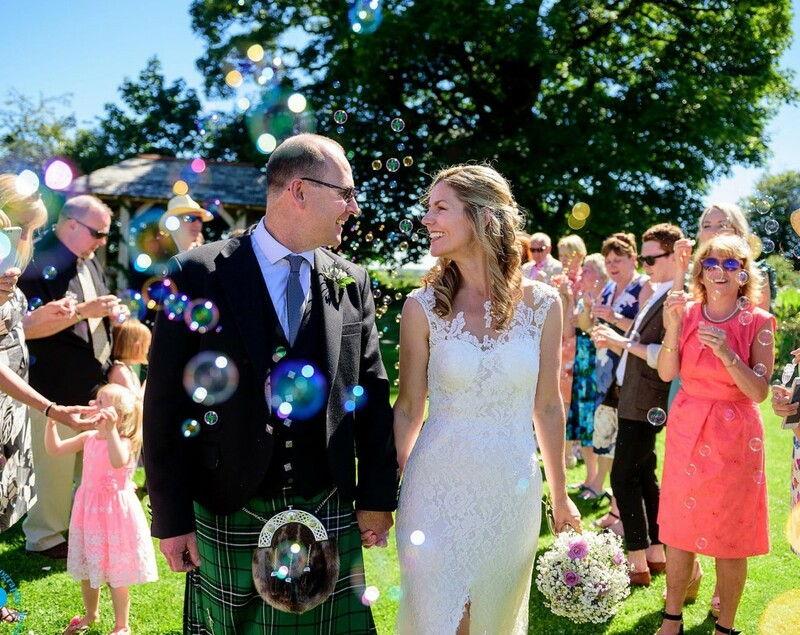 Sara and Rod chose bubbles as an alternative to confetti and the effect was beautiful! Photographer for the wedding, Paul Keppel, captured the magical moment. 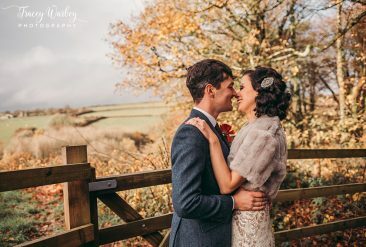 To help create their beautiful day, here at Trevenna, Sara and Rod chose flowers by award-winning Sharon Mesher, hair designs by Jo Harris, evening entertainment by Kaj Music and games for the children by Karal’s Parties. Finally, Yellowbooth Photo Booths provided some brilliant snaps and lasting memories for the couple. Take at look at their review of the wedding here- look out for the lovely photo of our Team! A perfect (photo boothing) wedding at Trevenna!